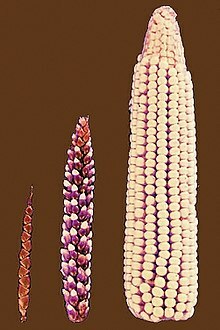 Artificial selection is the intentional breeding of plants or animals. It means the same thing as selective breeding and is an ancient method of genetic engineering. 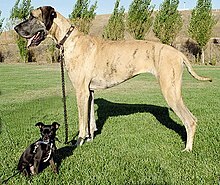 Selective breeding is a technique used when breeding domesticated animals, such as dogs, pigeons or cattle. Some of these animals may have traits that a breeder will want to carry over to the next generation. The breeder will therefore select those animals to breed which have that quality, rather than those that do not. Inbreeding is a particular kind of selective breeding, designed to produce a population which is genetically virtually identical. Such populations are rarely viable outside the laboratory. They lose fertility. To control this, most breeds are outcrossed or backcrossed to wild-type individuals, or at least less inbred stock. The details differ from breed to breed. The improvement when outcrossing is done is called hybrid vigour. This page was last changed on 23 March 2019, at 17:49.